This may be the ultimate source of inspiration in my life. I’ve grown with this band and they’ve taught me so much that it was hard for me to even start writing this post. I’ve thought about doing this since I started this blog, but I haven’t done it because I don’t want to leave anything out. I’m going to do it this year because I really want to let the world know of this prodigious group of Finns from my perspective. One day after school I ventured out into our family’s warehouse in our backyard to mess with my brother and his friends. What I thought would just be a few minutes of frustrating my brother and confusing his skating buddies turned into a rather life changing moment. When I stepped into the “Halo Wars” room I was met with a sweet voice and a catchy tune. [My Sweet 666] I navigated myself to the source of instant delight and didn’t leave until three songs were finished. I asked my brother what the band was and he replied “No one you need to know.” So I asked his friend (that actually owned the CD) who told me that it was HIM. I immediately ran back into the house, forgetting my initial intentions of bothering my brother, to Google HIM for hours upon hours. I was 9 years old then and that was the moment where my journey with HIM started. Cr: Wikipedia | Click to enlarge! I remember stealing my brother’s albums that he took from his friends. It was the only way that I could listen to HIM. None of my friends or the people around me, save my brother and his friends, knew about HIM. My brother didn’t approve of my liking to his new favorite band and kept telling me to “get my own band.” I took numerous beatings just to listen to the songs that comforted me most at that time. Later he ripped the CD’s to our shared computer so I had all the freedom to listen to HIM whenever I wanted. Which was most of the time. This may or may not shock you, but I can truthfully report that I listened to nothing but HIM for 3 months straight. Not even the radio. My music of choice everyday for 3 months was always HIM. This is how I’ve memorized each song’s lyrics, intros, where Ville breathes, the piano scores, the track list order and lengths, and even the lyrical variations from live shows to recorded tracks. My love for HIM only increased as time went by. I would always be super happy, no matter whatever else was going on in my life, if I was listening to their music. Happiness is addicting. When I found that special gem in my life that could bring me such instant and pure joy I was a bit over-protective about it. [Dark Light] When HIM reached mass popularity in the US there were tons of children in my school that would represent what I knew of HIM wrongly. 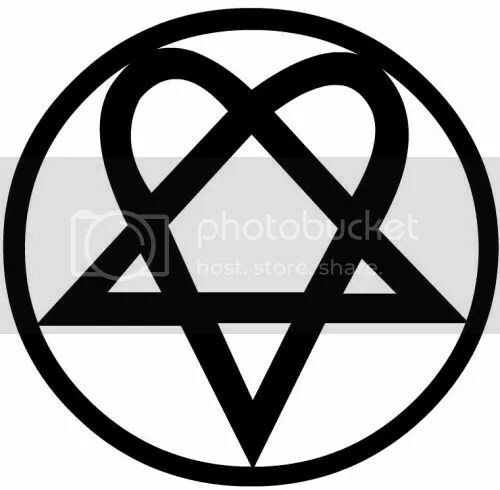 They would vandalize school property with Heartagrams everywhere and just give HIMsters such a bad name in general that my principal decided to tell me to take off my HIM merch in front of everyone in the school at lunch because she thought that I was affiliated with a gang. I had a bad temper then (and still do) so I did not hesitate to point out why she was wrong. At this moment in my journey with HIM I detested Dark Light and MTV for bringing them to the attention of people who did not understand HIM like I did. I couldn’t do anything but sit back and watch what was happening unfold in front of me. Despite this, there were lights at the end of the tunnel: I could watch/listen to HIM in the morning on TV, I could buy more merchandise at Hot Topic, and I could see them live more often. From this point on I followed HIM through their career (of course.) I met many beautiful HIMsters, joined the Houston street team, started the @HIMfacts account on Twitter, and went to 3 concerts (including one in Paris!) I still haven’t met them…yet! 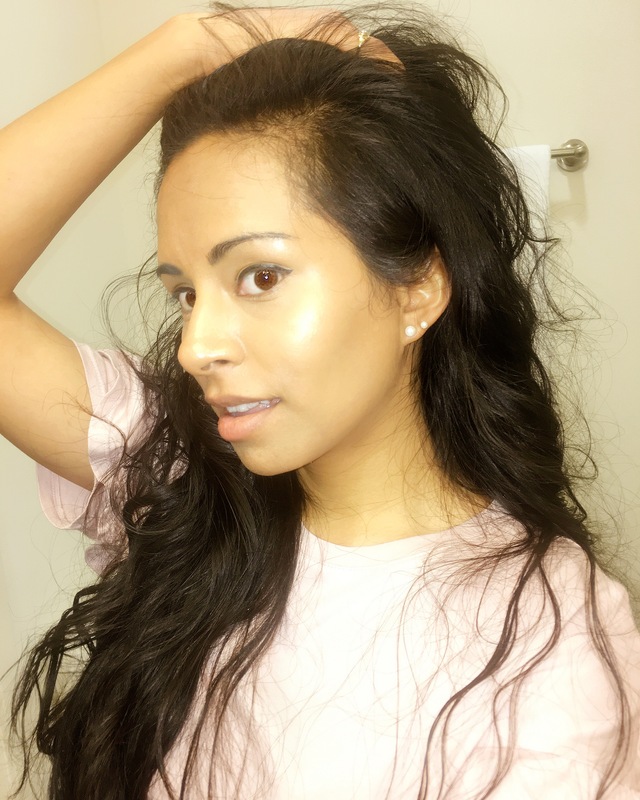 If you’re wondering why this is an inspiration post, I’m about to break it down for you. Because I was a very naïve, sweet, innocent, and quiet girl I got “bullied” a lot. By my family members mostly because they were the ones that I was the closest to the most often. I experienced a very dark period of time from the beginning of my pre-teen years until I graduated high school. I would get teased on anything and everything because I was quiet and “weak.” I wouldn’t do anything about it because I thought that if I did then I would be stooping down to their level, and I didn’t want to be an idiotic monkey or anything close to that. I would suppress my feelings so much that I convinced myself at one point in time that I didn’t have any emotions. People would sometimes call me a mute and I was extremely shy. So shy that I developed social phobia. I would lock myself in my room and ponder about everything that was wrong with me. I’m wasn’t out-going enough, I wasn’t smart or quick enough, I wasn’t pretty enough, I didn’t think how everyone else thought, I couldn’t make anyone happy, I wasn’t good for anything, I was useless… These thoughts stemmed from those who thought that their words didn’t make a difference in this quiet girl’s life. They were wrong of course. I would only stay in my room, not eat much (one meal a day), put on a fake smile when people talked to me, get emotional when they asked me if I was okay (every single time. It still happens sometimes today), wear black clothes so that no one would notice me, never smile or entice anyone to come near me, and cry each and every night until 3am. I didn’t have anything to give me hope in any form. I didn’t have anybody that I could relate to. I didn’t have any music that could pertain to my situation. I didn’t have anyone to talk to. I felt like I was alone feeling this way…until I discovered HIM. You could say that I construed some of the lyrics to match what I was feeling. “Just one look into your eyes, one look and I’m crying, ’cause you’re so beautiful. Just one kiss and I’m alive, one kiss and I’m ready to die, ’cause you’re so beautiful. Just one touch and I’m on fire, one touch and I’m crying, ’cause you’re so beautiful. No one’s childhood or life is perfect. Some people have an excellent support group while others have to find one. I found my support group in the form of a band from Finland. I don’t think that I would have survived each day well without them. Hearing their music is like hearing a comforting voice from someone you love and trust dearly telling you that everything will be okay. Although I just gave you some lyrics that may be meaningless to you, they helped me immensely growing up. I found out that there are people out there just like me. I realized that it was okay to feel that way and that others have been feeling that way for a while but continued living. If they could find a reason to survive and love life then I could too. Currently, I’m completely confident in myself and don’t care about other people’s approvals. I’ve learned that you have to be yourself no matter if it makes other people happy or not. I have one life to live and I can spend it being as quiet, weird, sweet, and mean as I want it to be. I only need to satisfy myself and if someone doesn’t like it then they need to move on from me and focus on something else that they enjoy. If someone pokes fun at me then I’ll ignore them because they’re useless to me. If they continue then I’ll do the same, because you treat others the way you want to be treated. Commonly mistaken as a pentagram or other symbol of satanism, it is something I keep close by. When people give me a disgusted judgmental facial expression as they see this somewhere on me I politely explain: “It’s like a modern-day ying and yang sign.” It basically means that love cannot exist without hate. It’s a constant reminder to me that although I tend to focus on the negativity around me, there’s always a silver lining. I can always find a positive thought in any bad situation no matter what level. I try to practice this as much as I can and would appreciate others to not judge me negatively because I have a Heartagram on my body. Maybe it’s a symbol for her favorite band! Who knows. I think that I’ve expanded on this topic enough. It was difficult for me to write out my feelings, and I don’t think that I’ve said them all, but this is pretty close. I hope that you can listen to this band with a different viewpoint, or dig deeper into why you love your favorite band. Also, Ville used to say “sweethearts” at the end of his interviews often. That’s why I chose that as my closing on my blog posts.